Every year it seems like summer goes by faster than the year before. By mid-July, stores are already holding “Back to School” sales and parents are worrying about making lunches again. The reality is that I avoid the end of summer like the plague. This means spending the last weekend of summer prepping, rushing around, and fretting about the start of school. Well, not this year because I have a plan. This year, I am taking the labour out of Labour Day, and here’s why you should, too. While moms and dads are stressing about school supplies, schedules, and class assignments, their families often lose out on the last weekend of summer holidays. I’ve noticed in the past that the stress of prepping for school in one weekend not only takes a toll on me but also affects my kids. They quickly lose that zen summer feeling and shift their thinking to homework, teachers, and new classmates. What if this year we all took some time to prep during the summer months so that Labour Day weekend could be spent together savouring one more s’more and watching one last sunset? The reality is that department stores are already stocked up on everything you need for back to school. Starting early has the added benefit of you being able to find a Star Wars backpack instead of having to convince your child that a lime-green one is way cooler than having their favourite character. We all know that when we are shopping for school over Labour Day weekend, we are not alone. Those parents lined up in front of you at the checkout? They are clearly not at the beach. 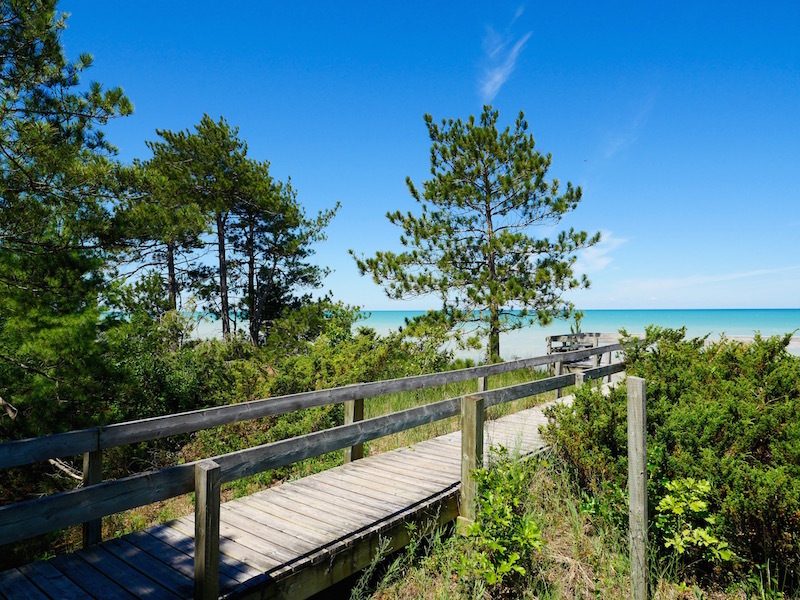 In fact, many of the beaches in Ontario’s Southwest tend to be less busy over Labour Day weekend, making them the perfect place to escape to for one last taste of summer. 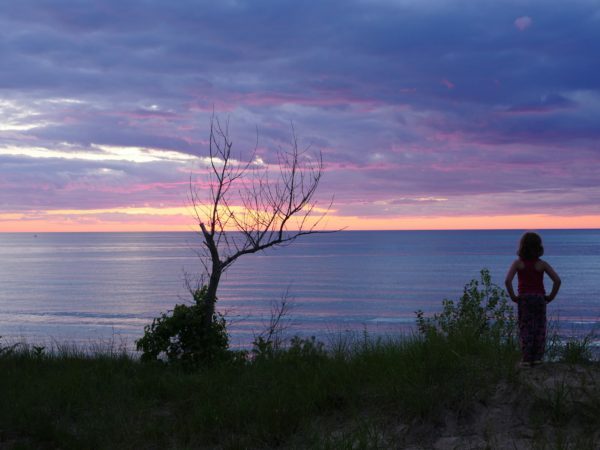 Throughout Ontario’s Southwest there are plenty of beaches to explore. Check out this list of 14 Kid-Friendly beaches, all within driving distance of Toronto and the GTA. Don’t worry; it’s not all just about lying on the sand. There are plenty of other fun things to do – from hiking, to petting zoos, and even drive-in movie theatres. I’ve spent a lot of time checking out Ontario’s Southwest and have fallen in love with many of the towns, parks, and beaches in the area. Here are my three favourite beaches to explore for a complete escape from the city. We camped in Pinery Provincial Park located 8KM south of Grand Bend over the Canada Day long weekend. Within minutes of arriving, I fell in love with the beach, which stretches over 10 kilometres along the shores of Lake Huron. Every morning the kids woke up and begged to go down to the water. We would all rush down to see if the lake was wavy or calm, and it was interesting to see how it changed over our three day stay. Each day families lined the sand dunes with blankets, towels, and umbrellas ready for the day ahead. I particularly loved how some beaches were dog-friendly, so every family member could enjoy a day in the clean, crisp water. At night, the kids would fall asleep as soon as their heads hit their pillow, no doubt dreaming of the fun they had that day. Another beach that captured my heart was at Point Pelee National Park. 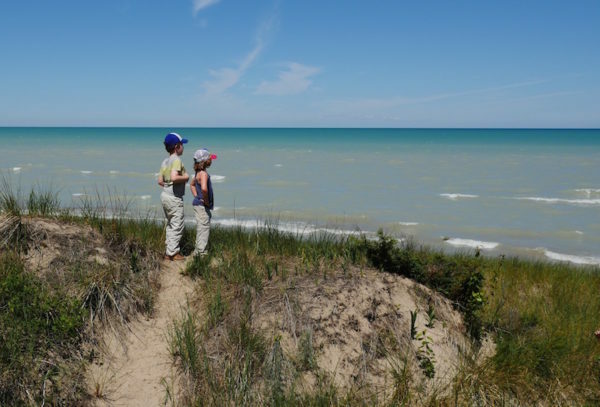 Located near Leamington, Point Pelee is the perfect beach for young kids who like to explore. We loved hiking through the trails and along the beach itself. There was plenty of driftwood to play with and areas to swim and relax. Families with young kids will love the shuttle to and from the beach as well as the interactive Visitors Centre complete with stories and costumes for kids. Have adventurous kids? 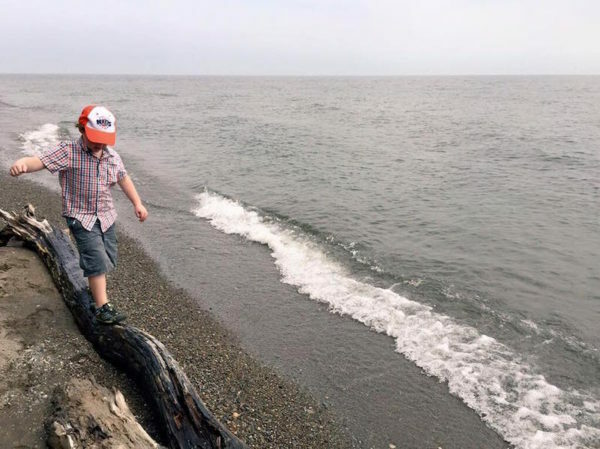 Families with kids 8 and up love to head to Long Point not just for the beautiful beach but to spend the day or weekend at Long Point Eco-Adventures. 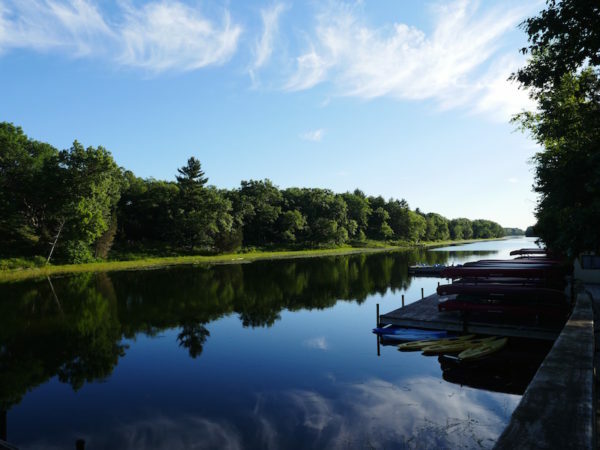 Try the eight ziplines and canopy adventure, spend time at the beach, and then experience some of the best “glamping” in Ontario. You can book a glamping tent or pod online and there are still some available for the Labour Day weekend. By starting to prep for school a little earlier this year, we can all head out and spend one last weekend together as a family. If you’re looking to cap off summer with a beach escape, there is no better place to do it than on the beaches of Ontario’s Southwest. Ontario is beautiful in the fall.